Home > Case Studies > Questionnaire: Could You Be an E-bay Entrepreneur? eBay is probably the most famous auction site (though, it is most certainly not the only one) of them all. Some people have managed to make a home-based entrepreneurial business out of selling items on eBay. Stories abound in newspapers of those who sell to make thousands, but there are many more who don't make quite as much! Nevertheless, it's a booming marketplace. eBay is here to stay. Could it work for you? Take our questionnaire to find out. 1. Are you already registered on eBay? a)	Yes, I’ve just signed up. b)	No, I had to search to find out what eBay is. c)	Yes, I’ve been registered for a year or two now. 2. What is your feedback rating? c)	What is a feedback rating? 3. How important is customer service when selling on eBay? a)	Fair pricing and postage, good communication and fast item dispatch are all crucial for good customer service. b)	Thankfully, as you never see people face to face, customer service is not important at all. c)	It’s a not a real shop; do the bear minimum to earn feedback. 4. Will you regard selling on eBay as fun or a business? a)	It’s a bit of both, as I’d like to run a business, but this seems an easy way to do it. c)	I realise I have to run this as a true business, with all the skills – like marketing and accounting – that go with it. 5. What do you see as the prime benefits of running a business on eBay? a)	I get to work from home with loads of time to myself. b)	I can make lots of money very easily. c)	It gives me an excellent work-life balance, though I realise this will be my business, generating my income. 6. 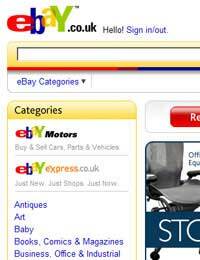 How important is marketing when selling on eBay? a)	eBay takes care of it all, so there’s no need to worry at all. b)	Although eBay is a great shop window, it will be up to me to use its best features well, and I should try and see it from a buyer’s viewpoint. c)	eBay does some marketing, but I should try to improve my chances of making a sale by “bending the truth” about my items and making them sound better than they really are. 7. What will you sell? a)	My loft is full of stuff; I’ll sell that. b)	I’ll trawl the local car boot sales for the best stuff, buy it low and sell it high on eBay. c)	I need to sell things like a real business, with genuine suppliers of items that people need. 8. Will you every use eBay to buy anything? a)	No, I’m here to make money, not spend it! b)	There will be no harm in looking for items connected with my favourite hobby. After all eBay is for buyers as well as sellers. c)	The best use of eBay as a buyer will be to buy items that I need to run my business, such as printer ink, stationery etc. 21-24:	You seem to have an excellent grasp of what running a business on eBay is all about. Never lose sight of the fact that you have to sell fro more than you are buying for. That's got to be the basis of any sound business. Go for it – it really could be your entrepreneurial outlet! 16-20:	You have some of the basic ideas about running a business from eBay, but need some more help. We would recommend that you do some further reading and research, and figure out what you might be able to sell on eBay. Remember that if you are hoping to run a business on eBay, then the key is in phrase: it is a business. As such you have to take it seriously, watch your finances, keep track of all your activities and learn from your mistakes. There’s hope, but don’t rush into it yet. 15 or less: You should either stick to your day job, or look for another opportunity as an entrepreneur. Unfortunately your understanding of eBay and what it takes to run a successful business from it are rather lacking. However, you can learn more and could make it work. Remember that running a business on eBay is not a game - you are after profits. It means buying low and selling high; and doing all the other administrative tasks that go with running a business. It would be worth your reading and learning more about being an entrepreneur before trying your hand at a business on eBay.